Nicholas R. Parrillo is a Professor of Law at Yale. His principal field is administrative law, and he also studies remedies, legislation, and American legal history. Nicholas R. Parrillo is a Professor of Law at Yale. His principal field is administrative law, and he also studies remedies, legislation, and American legal history. He is a specialist on the role of law in the practical workings of bureaucratic power. He was commissioned by the Administrative Conference of the United States to study how the federal government's ubiquitous but controversial use of guidance documents—which the public often has a strong incentive to follow though they are not binding law—can be appropriately managed. The resulting research, published in part as "Federal Agency Guidance and the Power to Bind," provided the empirical basis for the Conference's new best practices on guidance and resulted in Parrillo testifying as an expert on the subject before Congress (video). Parrillo is also the author of the first general assessment of how the judiciary practically handles the federal government's disobedience to court orders, "The Endgame of Administrative Law: Governmental Disobedience and the Judicial Contempt Power," published in the Harvard Law Review. Parrillo's book, Against the Profit Motive: The Salary Revolution in American Government, 1780-1940 (New Haven: Yale University Press, 2013), received the Annual Scholarship Award of the ABA Section on Administrative Law for the year's best book or article on administrative law, as well as the Hurst Prize of the Law and Society Association for the year’s best book on legal history. The book shows how American lawmakers remade governance by shifting public officers’ monetary compensation away from profit-seeking arrangements—such as fees-for-service and bounties—and toward fixed salaries. (Read the book's introductory chapter. Watch a talk about the book.) His article “Leviathan and Interpretive Revolution: The Administrative State, the Judiciary, and the Rise of Legislative History, 1890-1950” appeared in the Yale Law Journal and received the Cromwell Article Prize of the American Society for Legal History for the year’s best article on American legal history by an early-career scholar. Parrillo is a recipient of Yale Law School's annual teaching award, which is conferred by Yale Law Women according to a competitive vote of the student body. He is one of forty public members of the Administrative Conference of the United States. He holds a secondary appointment at Yale as Professor of History. Professor Nicholas Parrillo ’04 testified before the U.S. House of Representatives Committee on Oversight and Government Reform on March 14, 2018. Yale Law School hosted “Administrative Law From the Inside Out: A Conference on Themes in the Work of Jerry Mashaw” on October 2 and 3, 2015. Professor Nicholas R. Parrillo ’04 has received the Annual Scholarship Award from the ABA Section on Administrative Law for his book Against the Profit Motive: The Salary Revolution in American Government, 1780–1940. 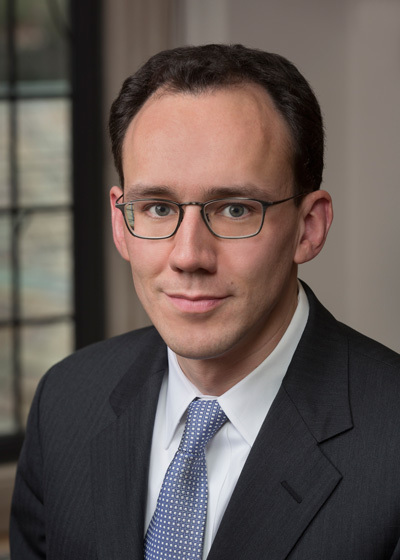 The Law and Society Association has given the J. Willard Hurst Award, for the year’s best work in English on socio-legal history, to Professor Nicholas R. Parrillo’ 04 for his book Against the Profit Motive: The Salary Revolution in American Government, 1780–1940 (Yale University Press, 2013). The first ever Yale Health Law and Policy Society Conference will take place on February 8, 2014 at Yale Law School. The conference will examine the implementation of the new Health Insurance Exchange Law. In new book, Against the Profit Motive: The Salary Revolution in American Government, 1780–1940, Professor Nicholas R. Parrillo ’04 shows how American law once authorized government officers to make money from their jobs on a profit-seeking basis in a way that would surprise many observers today. “Should the Public Get to Participate Before Federal Agencies Issue Guidance? An Empirical Study,” Administrative Law Review 71 (forthcoming 2019). “Negotiating the Federal Government’s Compliance with Court Orders: An Initial Exploration,” North Carolina Law Review 97 (forthcoming 2019). “Federal Agency Guidance and the Power to Bind: An Empirical Study of Agencies and Industries,” Yale Journal on Regulation 36 (2019): 165-271. “Fiduciary Government and Public Officers’ Incentives,” in Fiduciary Government, ed. Evan J. Criddle et al. (Cambridge, UK: Cambridge University Press, 2018), 146-160. “The Endgame of Administrative Law: Governmental Disobedience and the Judicial Contempt Power,” Harvard Law Review 131 (2018): 685-794. “Federal Agency Guidance: An Institutional Perspective,” Final Report to the Administrative Conference of the United States (Oct. 12, 2017). “Jerry Mashaw’s Creative Tension with the Field of Administrative Law” in Administrative Law from the Inside Out: Essays on Themes in the Work of Jerry Mashaw, ed. Nicholas R. Parrillo (Cambridge, UK: Cambridge University Press, 2017). Against the Profit Motive: The Salary Revolution in American Government, 1780-1940 (New Haven: Yale University Press, 2013). “Leviathan and Interpretive Revolution: The Administrative State, the Judiciary, and the Rise of Legislative History, 1890-1950,” Yale Law Journal 123 (2013): 266-411. Received Cromwell Article Prize (American Society for Legal History) for the year’s best article on American legal history by an early-career scholar. “Testing Weber: Compensation for Public Services, Bureaucratization, and the Development of Positive Law in the United States,” in Comparative Administrative Law, ed. Susan Rose- Ackerman and Peter L. Lindseth (Cheltenham, UK: Edward Elgar, 2010). “The De-Privatization of American Warfare: How the U.S. Government Used, Regulated, and Ultimately Abandoned Privateering in the Nineteenth Century,” Yale Journal of Law and the Humanities 19 (2007): 1-96. “‘The Government at the Mercy of Its Contractors’: How the New Deal Lawyers Reshaped the Common Law to Challenge the Defense Industry in World War II,” Hastings Law Journal 57 (2005): 93-197. “Lincoln’s Calvinist Transformation: Emancipation and War,” Civil War History 46 (2000): 227- 253. Republished in On Lincoln, ed. John T. Hubbell (Kent, OH: Kent State University Press, 2014), volume 3 of Civil War History Readers (“a multivolume series reintroducing the most influential articles published in the journal”). Administrative Law: The American Public Law System: Cases and Materials, 7th ed. (St. Paul, MN: West, 2014) (with Mariano-Florentino Cuéllar, M. Elizabeth Magill, Jerry L. Mashaw, Richard A. Merrill, and Peter M. Shane). Administrative Law from the Inside Out: Essays on Themes in the Work of Jerry Mashaw, ed. Nicholas R. Parrillo (Cambridge, UK: Cambridge University Press, 2017). Review of Inventing American Exceptionalism, by Amalia D. Kessler, Law and History Review 36 (2018): 1101-03. “Bureaucratic Power and the Rule of Law,” review of Tocqueville’s Nightmare, by Daniel Ernst, Reviews in American History 43 (Sept. 2015): 544-49. “Remarks Accepting the Section’s 2014 Annual Scholarship Award for Against the Profit Motive,” Administrative & Regulatory Law News, 40, no. 2 (Winter 2015): 7-9.
Review of Making the Modern American Fiscal State, by Ajay Mehrotra, Journal of American History 101 (March 2015): 1225-26. “The Banishment of the Profit Motive from American Government—and Its Return?” Balkinization, June 12, 2014. “American Fiscal State-Building, Crisis, and Contingency,” PrawfsBlawg, Symposium on Ajay Mehrotra’s Making the Modern American Fiscal State, June 10, 2014. 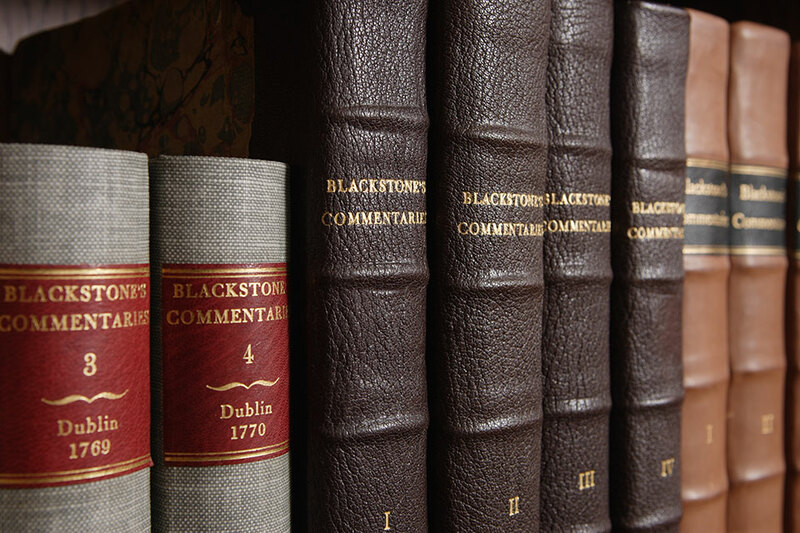 “What Is the Future of Scholarly Books in the Digital Age?” Legal History Blog, Nov. 26, 2013. “Researching State Legislative Records: The Biggest Obstacle in American Legal History,” Legal History Blog, Nov. 13, 2013. “Impartial Decisionmaker,” in Encyclopedia of American Civil Liberties, ed. Paul Finkelman (New York: Routledge, 2006), 2: 798-801.